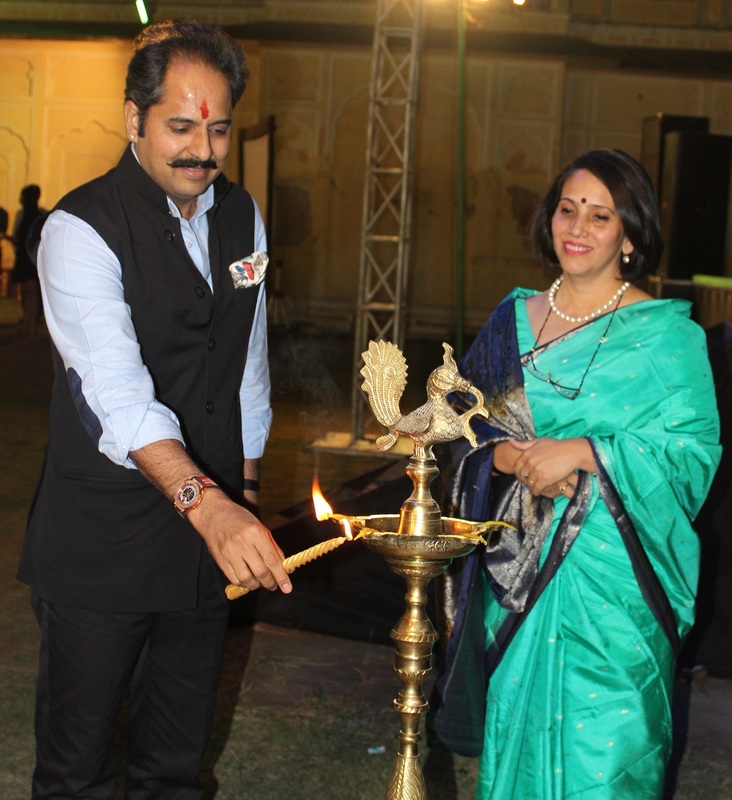 Jaipur, Friday 25 November: The three day educational conference Indian International ModelUnited Nations, Jaipur chapter hosted by The Palace School, Jaipur got a grand start today with an impressive inaugural ceremony. The Chief Guest of the ceremony was Maharaj Narender Singh. Mr. Raul Raudriguez, one of the top criminal officials of the Interpol was also present as guest speaker for the day. The ceremony commenced with address of Director General of IIMUN, Arushi Singhi followed by the speech of the Principal, Ms. Urvashi Warman where she spoke about the importance of such events at school level. Maharaj Narender Singh expressed his satisfaction to see the youth so focused and aware about international and national events at large. He applauded the efforts of the student delegates for making an effort to discuss and ponder over the grave issues making headlines worldwide. The guest speaker Mr. Raudriguez interacted with the students on different topics like the permanent membership of India in the United Nations Security Council; Terrorism; Interpol; among others. The Palace School students put up a splendid cultural performances and set the ball rolling for the conference which is being attended by over 400 students from within and outside the city.